Meanwhile, four-star recruit Shareef O'Neal, Shaq's son, has decommitted from the Wildcats. 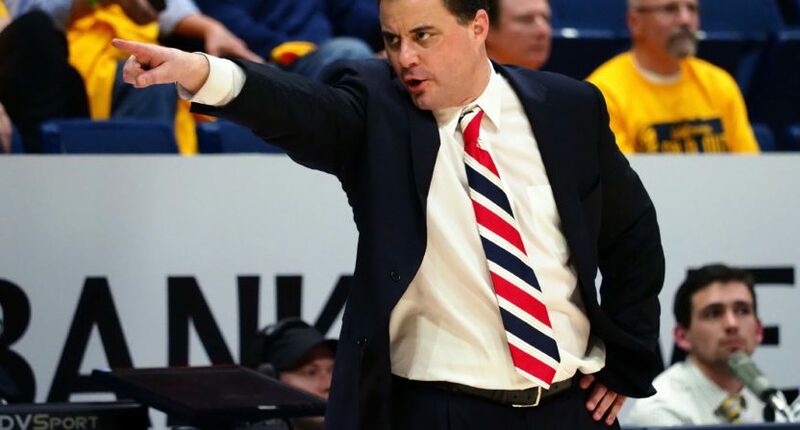 Sean Miller will not coach Arizona during the team’s game against Oregon on Saturday amid reports that he signed off on a $100,000 payment to recruit DeAndre Ayton, the school announced Saturday. ESPN reported Friday night that the FBI had captured Miller on a wiretap discussing the payment with Christian Dawkins, a runner for ASM, the agency at the center of a larger probe. Per Arizona, associate head coach Lorenzo Romar will coach in Sean Miller's place tonight. Deandre Ayton will play. In all likelihood, Miller will be fired from Arizona, just as Rick Pitino was canned at Louisville after similar allegations. But not only might the 49-year-old coach lose his place on the Wildcats’ sideline, he might lose his place in college basketball as a whole. Paying players is (somewhat perversely) considered the cardinal sin of college sports, and it’s tough to imagine another school bringing in someone who so flatly violated the most sacred NCAA rule. On ESPN’s College GameDay on Saturday, one-time Miller defender Jay Bilas said the current scandal could be a “career-ending thing” for Miller. “I can’t imagine him ever coaching in college again,” Bilas said. As Bilas alluded to, these allegations against Miller did not quite come from nowhere. Back in the fall, Arizona’s Book Richardson was among four assistant coaches arrested and charged with bribery and fraud amid the FBI’s investigation into corruption in college basketball. Richardson’s implication in the scandal resulted in five-star prospect Jahvon Quinerly decommitting from the Wildcats (and later pledging to Villanova). Speaking of decommitments, four-star power forward Shareef O’Neal, son of Shaquille O’Neal, announced Saturday afternoon that he would not attend Arizona as previously planned. All of this comes only days after Arizona’s second leading scorer Allonzo Trier was declared ineligible after testing positive for a performance-enhancing drug. A week ago, the No. 14 Wildcats looked like a Final Four contender. Now, they will trudge forward without their coach and likely without their two best players (assuming Ayton gets sidelined one way or another), while recruits rapidly jump ship. All because a super-talented athlete got paid to play basketball. Welcome to the NCAA, ladies and gentlemen.